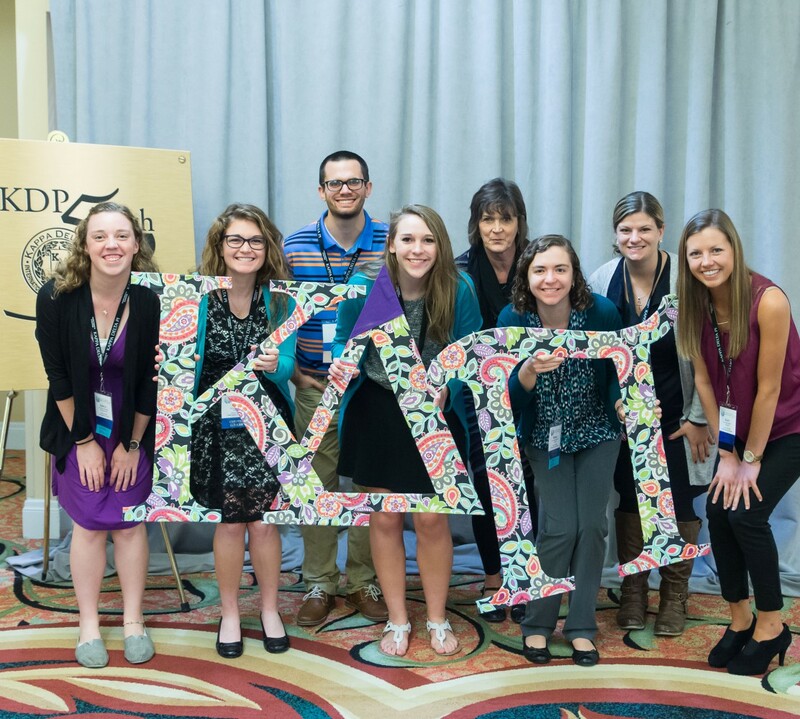 Thomas Ulmet is Midwest Regional Chapter Coordinator at Kappa Delta Pi. It was probably the best week of my short life at 15. It was my first band trip, first visit to Florida, first time to Disney World, first time on a real ocean beach. It was basically the best week ever. Until I got home. As the bus pulled around the circle I noticed my mother and some friends from my youth group at church were waiting near the entrance to the school. I thought it was odd, but also considered that it was a Sunday, and perhaps they had all come over to see me as I was just getting back from this huge cross-country trip. As I unloaded my trombone and started walking to the small cluster that was obviously waiting for me, I don’t think I even noticed that Chad wasn’t among them. Of course he was a busy teenager too, popular at his school and on the JV basketball team. We would talk about how he planned to transfer to my high school, which had a better basketball program, when he finally got his license. He was taking driver’s ed and I later found out, had just gotten his permit that week. We would often hang out on Sunday afternoons—he had a pool and a Nintendo so going to his house was a good time—so maybe I should have noticed he wasn’t with the group that sunny afternoon. I don’t remember who said what, how the message was delivered. While I was having an amazing time in Florida, Chad had told his parents he was going to walk to a nearby cousin’s house, but he never made it. I don’t recall how they found him and his rifle in the shallow wooded area between the homes. I do know the friends who had gathered around explained that they had already taken him off life support, and he had passed away before I got back to Indiana. I do remember how instantly my emotions plummeted from a tired euphoria to total numbness. I can still remember feeling the weight, a heaviness that can’t possibly be real but somehow oozes down the shoulder to the tips of the fingers and just pulls you down to the ground stronger than gravity. I can only remember one teacher, Mrs. Mahan, who realized that I was grieving. I remember being in her class, and after not finishing a test, she pulled me aside after the bell. I think she started to lecture me, maybe it was to warn me of my impending poor grades or that I needed to buckle down and work harder. I do remember I wasn’t trying to make excuses but I did let it slip that attending the funeral that week seemed to throw off my week. I think at that point she realized that she was dealing with a grieving student. Again I can’t remember what changed, I do know she showed me tenderness, and the rest of the semester she was supportive of me. My grades probably didn’t improve much, but she became one of my favorite teachers. She sewed a button back on my shirt that had come off and advised me to always carry an emergency sewing kit. Sewing kits are still special to me. A couple of years later I remember our marching band director was going around recognizing all the seniors. The band director talked about how I really came out of my shell as a senior and what a transformation she had seen since I was a freshman. She also mentioned her memory of that day after the band trip, how she wondered at the time if this shy, introverted guy “would go nuts” but instead she was relieved to see how I broke out of my shell and became an outgoing section leader. I had no idea she was aware of the news I received that day, how it affected me. I truly doubted any other educator or counselor at the school was aware of my loss, and certainly nobody but Mrs. Mahan talked to me about it. It shocked and confused me that almost 2 years later I learned that others knew, and they stood back and watched. Maybe this was the 1990s, and today schools are more proactive about dealing with student grief. After a tragedy we are now assured that counselors are available for students and families. I believe that is important. I also believe there is more educators can do when they know students are dealing with grief. That is why I am so excited to hear Dr. David Schonfeld and a number of partner organizations have launched a new site, www.grievingstudents.org. The site hopes to provide educators with information and advice to better understand and meet the needs of grieving students. I encourage you to check out the site, but also to access Dr. David Schonfeld’s KDP Webinar, “Supporting the Grieving Student” available in the KDP Resources Catalog. This is one of my favorite webinars and I often refer to it as a unique resource available to members from KDP. It is wonderful to note that there are now more free resources available to help educators support grieving students, and I am grateful for the work of Dr. Schonfeld and the many partners who make these resources available. October is Bullying Prevention Month. Bullying can occur during or outside of school hours. While most reported bullying happens in the school building, a significant percentage also happens in places like on the playground or the bus. It can also happen travelling to or from school, in the youth’s neighborhood, or on the Internet. According to nobullying.com, over 77 percent of students have been bullied verbally, mentally, and physically. Each day about 160,000 students miss school because of bullying or because of their fear of being bullied. The sad fact is that every 7 minutes a child is bullied on the playground. Adult intervention is often 4%, peer or classmate intervention is 11%, and no intervention is 85%. This means that is more common for these incidents to be ignored. School bullying prevention programs are known to decrease bullying in schools up to 25 percent. 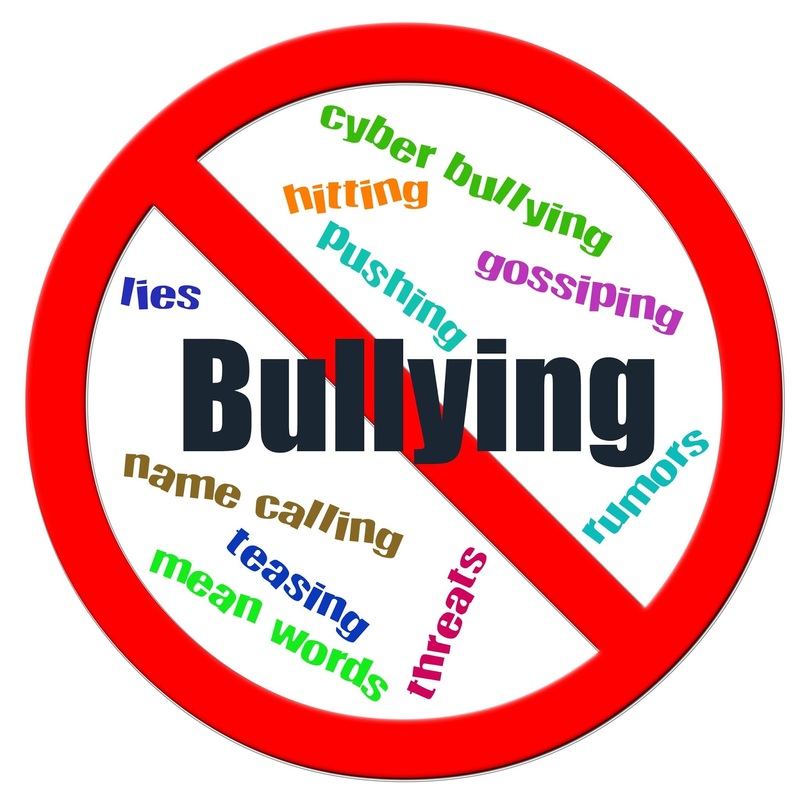 About 28 percent of students in grades 6-12 experience some form of bullying according to bullying statistics 2013. Over 30 percent of students admit to bullying classmates and peers. When an adult intervenes in a bullying incident, it stops within 10 seconds or more about 57 percent of the time. This is why addressing the problem often cuts down on bullying incidents that happen daily and rescues many students from being bullied. “Preparing a Bully-Free Environment” presented by Dr. Blythe Hinitz, a member of the Expert Advisory Group to the New Jersey Coalition for Bullying Awareness and Prevention and co-author of The Anti-Bullying and Teasing Book. Through planning, preparation, implementation and assessment of developmentally appropriate arrangement of classroom space and materials; and utilization of activities, lessons and units that incorporate anti-HIBT into existing curriculum mandates for early childhood and elementary level students. Basic definitions needed in anti- harassment, intimidation, bullying, and teasing (HIBT) work. Brief review of relevant research results to demonstrate the breadth and depth of the field. Principles for preparation of developmentally appropriate physical, cognitive, and affective environments. Selected resources to assist in answering the question, “What do I do on Monday?” (and beyond). Audience should include all teaching personnel, guidance personnel, supervisors, administrators, and anyone who works with students. We hope you can join us! Thomas Demaria, Ph.D. is a Clinical Psychologist and Professor at Long Island University Post. He is an Advisory Board Member on the National Center for School Crisis and Bereavement. Not so long ago, childhood was a carefree time of “play, creativity and exploration.” Our children now appear bombarded by a series of direct and indirect threats which challenge their safety and security. In order to protect our children, we warn that they should not trust strangers and be wary of anything that is unusual. Shielding our children from upsetting images and frightening stories overwhelms us because various forms of the electronic media often find a way through our defenses with these forbidden fruits. How can we help our children preserve their childhood? Helping our children does not involve isolating them from the unavoidable realities of our modern times. A more open dialogue with our children is required since we want to be the ones who educate them about trauma and loss. Children indeed feel safer when adults talk honestly about disturbing topics, at a level the child will understand. When we withhold painful information as a way of protecting our children, we inadvertently foster worry that something is happening in the world that is too frightening to speak about. When we avoid talking about an intensely emotional topic with a child, we let a child walk the tightrope of emotional regulation without a safety net. Supporting a child shaken by the loss of a family member or a traumatic event in the school setting can be challenging for many reasons. These children often experience emotions that they have never felt before, thoughts they cannot process and memories they cannot forget. We hesitate because we do want to intrude on children’s private mourning, embarrass them, or trigger their upsetting memories. Telling children that you are available to listen when they elect to talk with you, instead, comforts a child because they feel released from the burden of holding feelings inside while attending school. They also know that someone cares and will watch out for them when they encounter difficulties. Keeping in mind your own emotional needs and self-care will help you sustain your involvement with the child. Working with a team in your school can lessen the weight of the emotional burden and broaden the child’s support network during this turbulent time in their lives. The team can also develop plans for the long-term support of the child in collaboration with the child’s family because issues surrounding the trauma and loss will resurface at later developmental stages. Think of recovery from trauma and loss as a marathon where consistency and encouragement are most appreciated during uphill climbs during the journey. During childhood, a majority of children will experience a disrupting experience caused by the loss of someone close to them or exposure to a traumatic event. Children can be amazingly resilient and will resume their “play, creativity and wonder” when they feel sheltered by the ongoing emotional and social support of others. A new internet-based training resource for educators developed by the Coalition to Support Grieving Students and the National Center for School Crisis and Bereavement ( www.schoolcrisiscenter.org) will be available in January 2015. Hopefully, this resource will help provide educators with tools which will enhance their ability to support bereaved children. How do you currently support bereaved or traumatized children in your school/classroom? 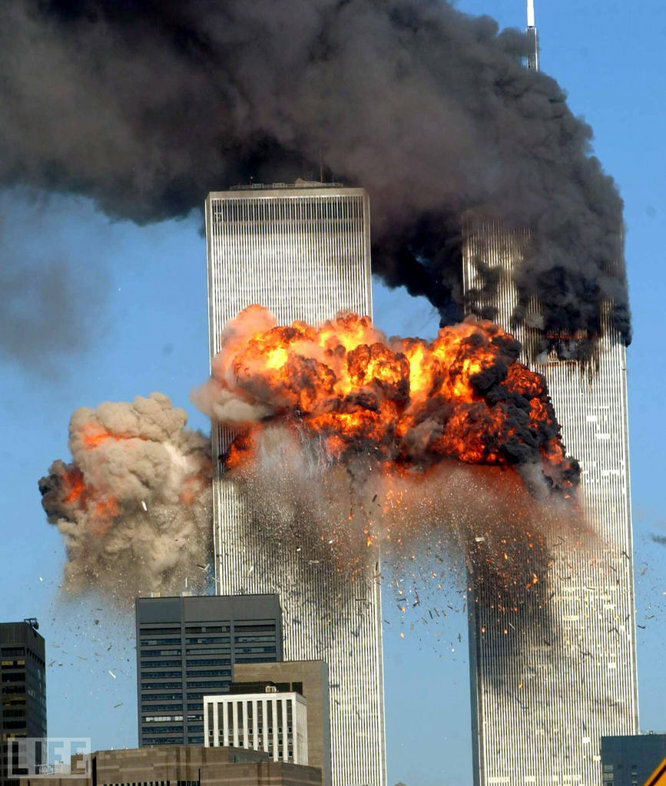 If you are a teacher today, you probably remember vividly where you were when you heard that the twin towers in New York City had been struck by airplanes on 9/11 in 2001. You may have been one of millions glued to the television over the next several days. If you were teaching then, you had a big job of helping your students feel secure at a time you may not have felt secure yourself. Whether you were a teacher or a student, you may have sat with your family and grappled with shock and grief. I was on my way to my classroom of adult community college students. We watched the events unfold together and comforted one another. The entire day was a loss for teaching from my plan, but allowed for talking about life and family and doing a lot of hugging and crying. And then I went home to my own children who were distraught. Too often in the past few years teachers have had to deal with tragedies. Some have been of epic proportions like 9/11 or the Sandy Hook Elementary School shooting or the tornado in Moore, Oklahoma. Others are traumatic for your school like a student who is shot or dies in a car wreck or as a result of suicide. And many are traumatic only to one or a few students like the loss of a pet or grandparent. Some losses are invisible to most people like an immigrant student whose move means the loss of everything and everyone he knows and loves. Do you know what to do and what to say? Do you know what not to do or say? Would you like to be able to help your grieving students? Should you let them see you show emotion? Do you feel helpless? Dr. David Schonfeld, Director of the National Center for School Crisis and Bereavement (NCSCB) and Pediatrician-in-Chief at St. Christopher’s Hospital for Children, chose to give the webinar Crisis! Supporting the Grieving Student for Kappa Delta Pi members and friends on 9/11 for a reason. He was there. He consulted to the NYC Department of Education to provide training for approximately 1,000 district and school-level crisis teams. In 2005, Dr. Schonfeld was awarded funding by the September 11th Children’s Fund and the National Philanthropic Trust to establish a National Center for School Crisis and Bereavement, which now receives funding from the New York Life Foundation. The goal of the NCSCB is to promote an appreciation of the role schools can serve to support students, staff, and families at times of crisis and loss; to collaborate with organizations and agencies to further this goal; and to serve as a resource for information, training materials, consultation, and technical assistance. Anderson Cooper interviewed Dr. Schonfeld after the Newtown shooting at Sandy Hook Elementary School. Watch this interview to get an idea of the depth of Dr. Schonfeld’s understanding and care. http://www.youtube.com/watch?v=fwTitfjXu4w You can skip to 1:30 to hear Dr. David Schonfeld. As you may have guessed, Dr. Schonfeld was called to help after the flooding in New Orleans, the earthquake and school collapses in China as well as after the tornado in Joplin, MO. Whether loss is personal or one that impacts the entire school/community, bereavement can have a profound and long-term impact on children’s psychological adjustment, academic achievement, and personal development. This session will offer practical guidance on how educators can play a unique and critical role in supporting grieving students. • be able to provide practical advice to families on issues such as funeral attendance of children. Hear his gripping stories and down-to-earth advice!